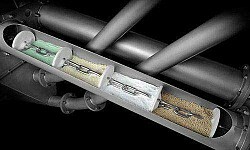 Renby supply resource-efficient, innovative solutions for bulk materials handling, dust suppression, odour problems and material conveyors. All of our systems work towards enhancing working environments. 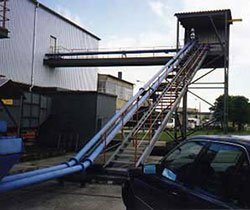 Renby systems are used wherever dust and odour are involved - in chemical manufacturing, waste, recycling, food, cement and energy from waste. 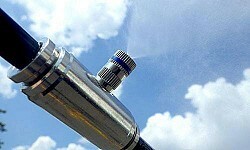 Our MicronFog™ system is also used in landscaping, movies and art. We work in partnership with our clients to forge a sustainable, cleaner and safer world. 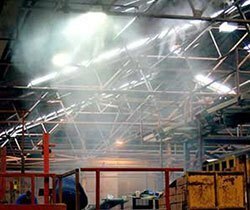 Strict UK and EU legislation on workplace dust means dust suppression is more important than ever, making it essential to reduce dust levels. 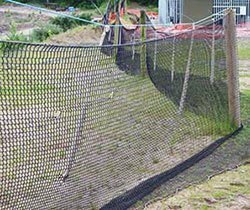 Our products and expert knowledge in dust control systems means you can relax, knowing that we will work with you to meet these requirements. Dust Suppression – What Are The Options? 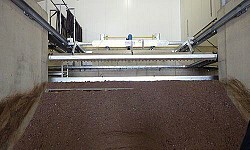 When industries are looking into dust control systems, many turn to extraction or collection systems. 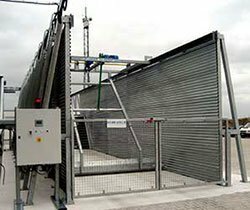 But when it comes to power consumption, running and capital costs, dust suppression with fog offers a much more cost-effective and efficient solution. 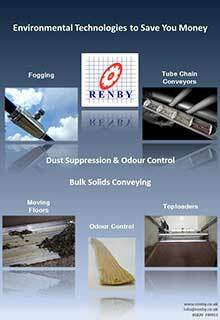 Renby dust control systems use fine controllable fog to significantly reduce airborne dust without wetting. This mitigates risks of respiratory conditions such as silicosis and COPD caused by dust. The microscopic water droplets agglomerate dust, forcing it to fall from the air. Also used for cooling, humidification and special effects. 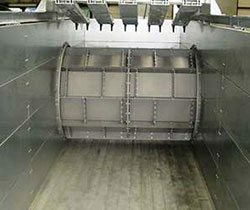 Our bulk material conveyor systems convey a huge range of bulk materials, smoothly and efficiently whilst containing fugitive dust. The smooth, gentle action conveys mixed products without segregation. Used for ash and MBM in the power and cement industries. Special versions for ATEX and food ingredients are available. Designed to automate reception and handling of vast volumes of bulk material. The system configuration is led by the needs of the process. 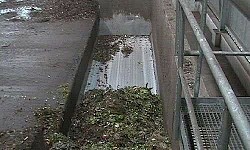 Bag openers are available to complement the floor in waste processing applications. The floor is strong enough for bulk materials vehicles to drive over it. The Hydratech Toploader (EU Patent 882390) can be erected on an existing concrete surface, allowing front loaders or lorries to deliver materials and drive off quickly. The Toploader automatically feeds material into your process in on demand. 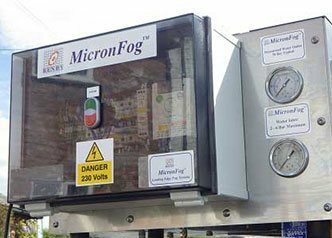 The MicronFog™ Nano is a highly portable fogging system useful for smaller applications such as cleaning and maintenance dust suppression where the fog is only required for a defined period of time and can be turned off and on manually. Also useful for special effects in Theatre, Film, Art and Sculpture, its smaller footprint allows it to be used in areas where space is at a premium or where the system needs to be well hidden. This system is ideal when there is no water supply, such as at exhibitions and galleries, or in smaller production areas and workshops. The Nano system still utilises the same high quality components:- Nozzles, tubing, slip-lock fittings, filters and as always with our fogging systems, UV water disinfection is supplied as standard. 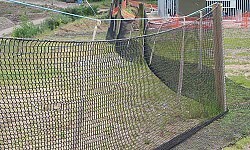 Pumps and filters are of a smaller size and capacity to suit. This system is ideal when there is no water supply, such as at exhibitions and galleries, or in smaller production areas and workshops. Call us on +44(0)1829 740913 or complete our contact form to find out how we can save money for you. Renby also supply Fogging system spare parts, Conveyor Covers, Meister Screening modules and Spray heads, and Conveyor rollers and drums.